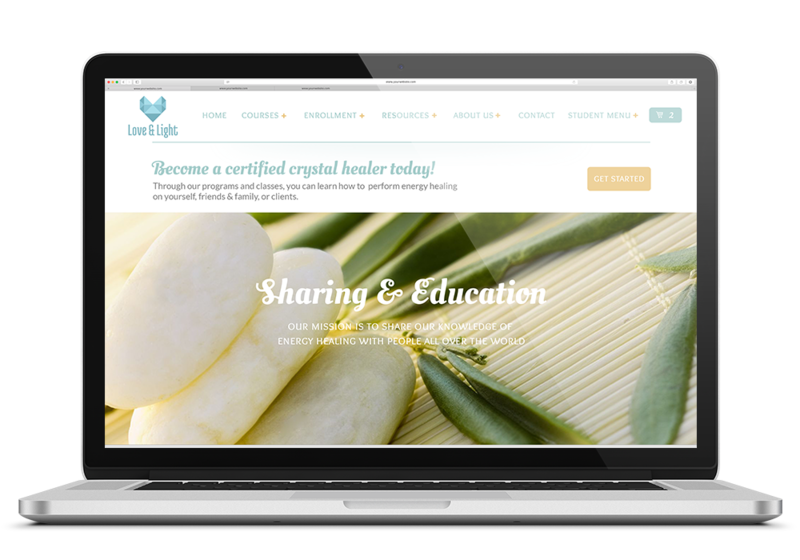 Love & Light Healing School is an accredited online holistic school that focuses on providing their students with certification programs in a fun, friendly and informative atmosphere. The original website was split into various components that weren’t working well together (or apart), and the school was lacking in a formal Learning Management System (LMS). Sensei by WooThemes (now a part of Automattic) was chosen by Love & Light to power the new LMS while WordPress and WooCommerce provided Content Management and eCommerce functionality. The result was a powerful system of unified components that allowed the school to provide training to their students at a faster speed and the ability to generate robust reports about the student body. 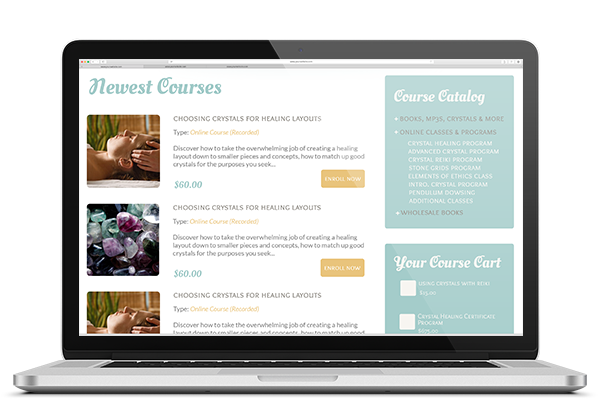 The intention was to simplify the website for Love & Light’s students and streamline their online learning experience. The site is running three major components so ensuring that the systems flowed seamlessly and everything on the website matched from the regular pages, to the eCommerce sections to the LMS content was a major consideration. 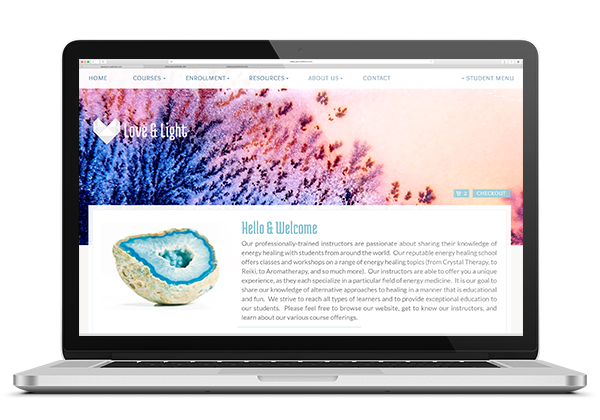 Love & Light’s online school was one of the first websites I worked with that involved a WordPress LMS. We chose Sensei to make it easier for Love & Light staff to integrate with WooCommerce and perform administrative tasks. My initial concept veered toward a more industrial and abstract look. The design was revised into a friendly and approachable zen-like layout with soft colors and shapes. Deployed in 2014, Love & Light’s website continues to operate using Sensei as their student body grew. The new site boasts increased sales and an organized structure for staff to pull reports. The staff maintains and updates the website themselves since the new website’s deployment. Want an Estimate or Get Started on a Project? The case studies presented on this website are only a few examples of the work that I’ve done. I have many more live sites and case studies to share and of course, I’d love to work with you too! Iron Ion serves small and startup business with refreshingly good UI/UX and a focus on building everything from the ground up. This ensures our clients started right with their online presence. Let's Have a Chat about your website. © 2019 Iron Ion. All rights reserved.